We use a network of experts who specialise in the various key aspects of our work from facilitation, team building, personal coaching, mentoring, counselling and change management. Almost all of our team have substantial international and multi-cultural experience. This approach ensures you get the very best person for your assignment. 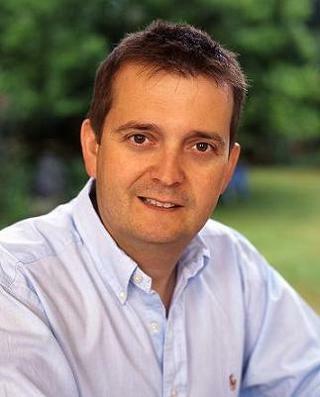 Richard Derwent Cooke: Is a change mentor and the principal of the business. He mentors business leaders and specialises in helping people find creative ways to approach, consider, and resolve problems. 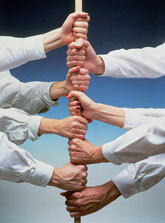 He works with teams who need a new focus or want to find new and more effective ways of working together. And also with business leaders, helping them clarify their thinking & planning, bringing objective and creative challenge to their process. He is an expert facilitator and works with high level teams formulate strategy and redesign their businesses. He brings a very practical perspective to Change, and supports businesses through the inevitable turbulence and makes sure Change happens. One critical difference is his long-term support of the leader, helping them maintain focus, consider various alternatives & balance the often conflicting demands of that role. His background includes 17 years experience as a professional change agent, 30 years as a chartered accountant and more than 30 years working with Blue-chip, international corporations including SmithKline Beecham, where he worked in the core team which designed and facilitated the biggest corporate merger ever (to that date) and was written up as model of excellence. He is also a qualified NLP practitioner and holistic therapist. Jeff Abel: A qualified lawyer and successful businessman, he now specialises in helping people move through their personal barriers, by helping them to identify their objectives and the hidden obstacles to success created by the Flight or Fight mechanism. By identifying when the barriers are internal and need �owning�, and when they are external, effort is correctly directed to achieve success. Tim Lux: is a change management practitioner, leading transformation and change programmes for clients in industries such as chemicals, life sciences, resources, retail and public sector. His 25 year career includes senior line positions in supply chain and sourcing for major global firms, and leadership roles in Big 4 and strategic transformation firms. Tim is an expert at Corporate Relationships, including alliances, partnerships and Supplier Relationship Management. Geoff Rolls:is a Training and Development consultant, Business Coach, Life Coach and Master Practitioner of NLP. His main areas of focus are Change Management, Blended Learning, outplacement support, as well as phobia, compulsion and anxiety reprogramming. With a long career in major UK Retail organisations, such as Safeways & Sainsburys, in the Systems and Customer Service fields, he has won two National Training Awards- the UK's premier training accolade. Garth Spiers: Widely regarded as a leading edge management "guru" he has been described as "caring, challenging, entertaining and practical". He draws on his unique background in theatre, psychology and business to bring a fresh approach to individual and organisational development. He has over 20 years experience working with clients in Government, Commercial and Humanitarian sectors. 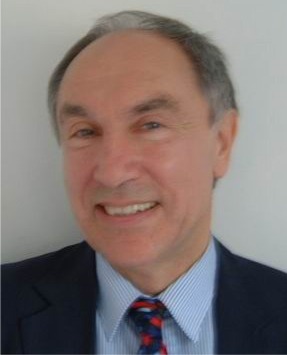 David Pride: has 30 years experience of people and organisational development. He has taken line roles in British Airways, Conoco and Dubai Petroleum Company and, as a consultant, worked for PA Consulting Group before joining the Centre for Enabling Leadership. He has worked for a broad range of clients in the public and private sectors, including SmithKline Beecham, Novartis, Agrevo, Marshall Food Group, Woolworths New Zealand (Dairy Farm), ASDA, Laing Engineering, Carillion Construction Group, & Pearl Assurance. He has led major projects in organisation change; facilitates top team development and acts as coach for managers in career transition & performance improvement. Richard White: is a real sales expert who uses advanced relationship-based selling techniques to help professionals to attract, win and develop profitable clients. He also helps managers and team leaders to become more persuasive and influential. Richard is a qualified Accountant (ACCA)holds an MBA from Cranfield School of Management and is a certified NLP Master Practitioner and NLP Coach. Richard spent the first 15 years of his career with companies like Harris Queensway, Union International, Initial, and Wickes improving management reporting processes. Richard then moved into consultancy, where he combined client assignments with successfully growing a business unit. Judith Germain: specialises in developing leadership talent, social and emotional intelligence in leaders, executive coaching, and human behaviour and motivation. Her gift is in helping gifted people who sometimes spoil their contribution with negative side effects on others, and in supporting managers to manage them. She combines her 10 years of experience of senior level strategic and operational HR to enable organisations to increase their performance and business results through the effective use of their people. She has worked in many industries including Financial Services, Retail, Defence, Media, Security and Quasi Public Sector industries. Anneliese Gu�rin-LeTendre is our cultural and linguistic coach with nearly 30 years teaching, training and management experience in both the public and the private sector. She is also a fluent French speaker, in addition to her technical expertise in English. She gained both personal and professional insight into the cultural issues involved whether working abroad, when living in Canada and France. She believes that "cultural intelligence" drives real communication. She is particularly focussed on the complex role of English as the language of international business and inspires her coaching clients - both native and non-native speakers - to achieve a profound understanding of how intercultural communication works. Anneliese works with senior and middle managers from a range of organisations in the UK and France including Cadbury-Schweppes, Deutsche Bank, Unicredit, Watson Farley & Williams, the National Health Service, the Foreign and Commonwealth Office, the Home Office, Arcelor-Mittal, Peugeot, Shell and the French Ministry of Defence. Paul Wigley sspecialises in helping individuals, teams and organisations to become the very best they can be. He is experienced in breakthrough facilitation, creative solution finding, strategy formulation, performance management, organisational transformation, business process improvement, managing stakeholder relationships, effective communications, benefit realisation, coaching and mentoring. Paul is a Kaizen-Training Black Belt Facilitator, a certified NLP Practitioner and a certified Basadur Applied Creativity Facilitator. 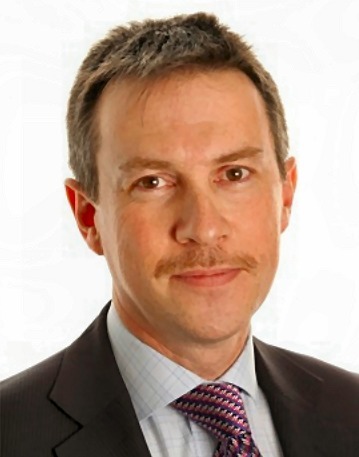 He has helped a variety of organisations make significant improvements including the Department for Work and Pensions, Skandia UK, O2, Sainsbury's, the Post Office, B&Q, the Home Office and the Crown Prosecution Service. Martin Down is an experienced Executive Coach, Senior Team Facilitator and Organisational Change Consultant with an established track record of coaching Senior Executives of major PLC's and public sector organisations. He is a tutor at London Business School and previously worked as an organisational change consultant with Cap Gemini, where he was responsible for leading the leadership, organisational and people change stream of major transformation projects. He has specific expertise in the areas of Leadership, Strategy alignment and implementation, Organisation Transformation, Behavioural Change, Stakeholder Engagement, Top Team Effectiveness, Conflict Management. Martin is an APECS Accredited Executive Coach and Fellow of the Institute of Business Consulting. Clients include ABN Amro, Santander, Macquarie Bank, Zurich, Corus, BUPA, London Business School, Rouse & Co, NHS, Learning Skills Council, Syngenta. Chris Bryan: specialises in helping organisations to solve business problems and plan for the future in a group context. He works internationally with the senior teams of government and private sector organisations to bring structure and clarity to strategic decision making and to help derive future strategy, organisation and the appropriate underpinning systems and processes. He is an expert facilitator and systems consultant; his experience includes city governments in South Africa, Oil Companies in India, Banks in Scandinavia, Telecoms companies in the Netherlands and public health in Malta. Chris holds an MBA from Ashridge Management College and a B.Sc from UCNW Bangor.